What are the Signs of Food Sensitivities? People with long-term complaints who have tried many treatments and dietary interventions, with limited or no success may find it beneficial to investigate their individual food intolerance. WEIGHT: difficulties losing or gaining weight. SKIN: eczema, skin rashes, psoriasis, dermatitis. JOINTS: pain, inflammation, difficulties moving. Gastro Intestinal: “IBS”, pain, bloating, gas, diarrhea, constipation, damage to the mucosal lining, perforation & “leaky gut”. This can make it difficult for nutrients and vitamins to absorb into the body and the person over time can become deficient in things like iron, zinc, and B12. Here’s how it works. Dr. Laura M. Brown, ND will see you for a brief 15min appointment to setup your profile, and collect your medical history prior to your food sensitivity testing. If you prefer, a regular 1 hour upfront full Naturopathic intake, is highly recommended. In a separate (or following) 45min appointment, The Electro Dermal Screening (EDS) KORU testing will be done. No needles are involved. The testing is based on physics, rather than blood chemistry. Sometime in the following week, you will meet again for about 30 min with Dr. Laura M. Brown to receive your personalized guidance and food sensitivity report. This testing is open to any age. Unfortunately we cannot test people who have pacemakers. Call the clinic at (519) 826-7973 to arrange your KORU package and appointments. You are welcome to see Dr. Laura beyond the KORU package for further guidance on diet, lifestyle, B12 injections, acupuncture, medications and supplements however you are under no obligation to do so. If you prefer blood chemistry analysis, Dr. Laura M. Brown, ND can line you up with this as well. In this case, please setup a regular initial assessment with Dr. Laura and she will provide you with the lab requisition that best suits your needs. Food sensitivities are real. Often sensitivities go undiagnosed because the reaction is gradual and will happen 24hours- 3 days of consuming the food irritant; this makes it more difficult to pinpoint which food is the trigger. The body’s immune system can respond to food like an enemy. This stimulates inflammation, pain, bowel changes, headaches, and sometimes skin reactions. Being sensitive to a food may mean the person needs to avoid it completely, or be able to have a small amount occasionally. Sometimes after months of abstinence, a food may be reintroduced without an issue. Often affiliated with autoimmune disease (SLE/lupus, thyroiditis, Rheumatoid Arthritis (RA), toxic exposure to heavy metals, molds & family history. What foods typically cause IgG reactions? How do I learn if I have an allergy or sensitivity? IgG testing can be accessed through Dr. Laura M. Brown, ND. Options for food sensitivity testing include electrodermal screening or blood spot or full blood draw. From the heart and mind of your local Naturopathic Doctor, Dr. Laura M. Brown ND. This smoothie has been my go to drink since I discovered it in one of my all time favorite cookbooks called “Oh She Glows” by Angela Liddon. Packed with goodness, this smoothie will give you that burst of energy that you need to start the day or to keep you going throughout the day. Make a double batch and store it in your fridge at home or at work and grab it when you need that mid afternoon pick me up. If you have a nut allergy, this recipe has substitutions so that you can enjoy this drink too. Not sure about drinking something green….simple add a half a cup of fresh or frozen blueberries to give this drink a beautiful purple hue. Not only will your friends and family be wondering where your energy is coming from..but even why you have glowing skin. You will love this smoothie….try it out and let me know what you think. What’s The Dr. Phil Difference at Forward Health? Being injured is about more than just being in pain. It can set your training back – wipe out any progress you’ve made. It can even keep you from competing at all. As a fellow active middle aged adult, I know how much you love what you do. It’s so frustrating to be injured in the first place. Not to mention distressing to think you might not be able to work out or simply perform all of your daily activities. If you’re hurting now, the key to getting back to 100% mobility as quickly as possible is to receive the right diagnosis – the right treatment plan – right from the start! My name is Dr. Phil McAllister and I am a licensed Chiropractor with a special interest in Functional Mechanics and Neurology. I’m very passionate about the treatment of sports injuries, pain management, and injury prevention. Through my unique blend of specialties culminating in an individualized Treatment Regime, unique to your needs, that has helped so many, including athletes of all levels with injury recovery and in performance enhancement. It is my privilege to be the Clinical Director at Forward Health, and over my decades in practice have been a member of medical teams with various International, National and Provincial Sports Venues since 1994, as well as hosting Living Healthy – Guelph – Rogers TV with Dr. Phil McAllister. While Chiropractors are generally trained to treat back and neck problems, a Doctor who is further trained in the field of Functional mechanics and neurology has extensive post-graduate training on treating the whole body and all functional issues. Your initial consultation will include a thorough functional examination. We’ll discuss the type of training you do, the intensity, your routines, diet – anything that can affect your performance. Yes, this takes more time… but I’ve found it’s always time well spent. The goal is not just to reduce the pain for now — you don’t want the problem to come back as soon as you stop treatments — You want a long-term solution. After all, you don’t want the problem to come back as soon as you return to your daily routine or sports activity! That’s why we’ll look at more than just “what’s hurting” by performing some specific and unique functional tests to gently uncover exactly WHY you are hurting. By taking this whole body approach to care, treatments are designed to make you feel better and perform better NOW – while also helping to solve the underlying cause of your pain, or as a good analogy goes, my goal is not to just make the orchestra look good on stage, rather my goal is to ensure that the orchestra also plays in harmony. Ensure that the brain is getting the correct muscles to fire for optimal performance and coordination of all the joint motions. You’ll also know your progress by a testing and benchmark system to document exactly where you are before and after every treatment plan. This gives a specific, measurable way to track your improvement. Accurate diagnosis, proven treatment plans, and consistent testing are just three of the reasons why our average treatment plan is just 8-12 treatments over a 4- 6 week period. Much shorter – and much more effective – than a traditional chiropractor or physiotherapist. Since you don’t like missing even a day or two because of soreness or pulled muscles, we’ll also work on injury prevention. This includes everything from stretching and exercise to nutrition and lifestyle choices, with our entire health care team at Forward Health. By being proactive, you’ll find yourself spending less time on the sidelines… and more time doing what you love. With Dr. Phil and the entire team at Forward Health, you’ll discover that you DON’T have to just ‘accept’ the pain or learn to live with it. You have options. There are solutions. Don’t give up. There Is light at the end of the tunnel. Together we’ll work to resolve the problem. Just call 519-826-7973 or info@forwardhealth.ca now to get started. What does the state of your stool say about your health? Our bodies are ultimately a manufacturing facility… food, nutrients absorbed and waste out. What our stool (medical term for pooh) tells us about the state of our bodies can be very informative. Take the Bristol Stool Chart, shown below, for example. The seven types of stool can tell us a lot about what’s going on. Lovely you say? Well, it can speak volumes to a naturopathic doctor on what to do to help you uhm.. move on… so to speak. Get the SCOOP on your POOP! If you are mostly a Type 3 or 4, way to go! You are likely getting enough water, fibre, eating a balanced diet and have a strong microflora (good bacteria in the gut). You likely have no underlying factors of disease affecting your intestinal tract. Type 5? Likely need to pay attention to the right kinds of fibre, maybe some dietary tweaks, a proper probiotic and adequate fluid intake. If you are Type 1 – 2 OR 6 – 7, then we need to get you more water and the right kinds of fibre and look for any neurological upset, food sensitivities, or medication side effects. Also to be considered are things like thyroid function, diabetes, calcium levels, dietary habits, supplement dosages, Celiac disease, bowel obstruction, endometriosis or even possibly cancer. Stress, depression and anxiety can also be a factor in alternating constipation and diarrhea. As a naturopathic doctor we look to the root cause of the issue, remove anything that may get in the way of healing, and then look to what needs to be changed or added in order to restore the natural balance of the body, mind and spirit. Dr. Laura M Brown, ND will find gentle ways to stimulate your healing within and restore your natural equilibrium. Ever wonder the secrets to natural skin care? Jealous of those with complexions so vibrant they look great even with little to no make-up? Have some fun in this hands-on session as Dr. Laura M. Brown, ND shares the naturopathic wisdom of simple and affordable skin care. Learn what is essential in your diet and lifestyle and get hands on experience with natural scrubs, exfolliators, dry skin brushing techniques and more. Healthy glow is the way to go: treat your skin naturally from the inside out. Apple cider vinegar (ACV) is one of those age-old remedies that has made the transition into mainstream popularity. 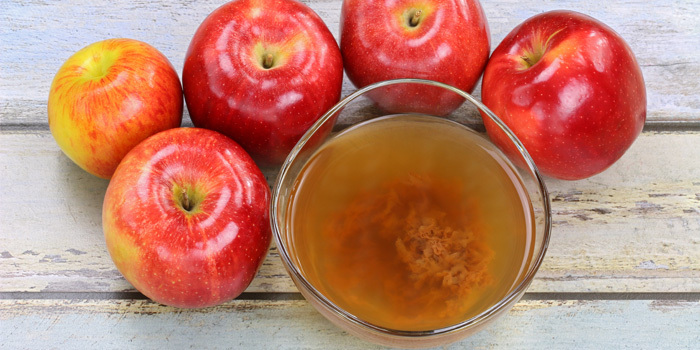 Since the age of Hippocrates, vinegar was used to fight infections and help with all sorts of other ailments, and today ACV has been dubbed the miracle cure for hair, skin, weight loss, and more. But is it really as great as it’s cracked up to be? It could help you lose weight. Consuming vinegar with your meal can increase feelings of fullness, which should keep you from overeating. One study found that people ate 200-275 fewer calories for the rest of the day when they consumed vinegar with their meal. It’s been shown to reduce and regulate blood sugar. ACV contains acetic acid, which has been shown to slow down the absorption of sugar into your blood stream. Subjects in a study at the University of Milan saw a 34% drop in their blood sugar if they drank 1 gram of acetic acid in olive oil before eating 50 grams of white bread. In contrast, if one were to usually consume white bread, this would cause a spike in blood sugar. It can clean fruits, veggies, and more. When mixed with lemon juice, ACV has been proven to clean fruits and veggies and eliminate traces of salmonella. ACV can also be used to clean surfaces around the house. It may reduce risk of heart disease. Multiple studies have shown that vinegar reduces blood pressure in rats and in another study rats that consumed ACV also showed a decrease in cholesterol and triglyceride levels. And while there hasn’t been much research on similar effects in humans, one observational study found that women who ate salad dressings with vinegar had a reduced risk of heart disease. The antibacterial properties of ACV could very well remove some gunk off your teeth, but it’s also extremely acidic. Too much acid can lead to erosion of the enamel, so rinsing your mouth with ACV could do more harm than good. ACV has antimicrobial properties that could help to clear up acne, but right now there are only personal testimonials for this, no scientific studies. The acetic acid in ACV could remove excess buildup from hair products, but again, there’s a lack of science to back up this claim. Do not drink this stuff straight. If you’re going to ingest ACV, mix one tablespoon with at least eight ounces of water. You’ll want to dilute it because it tastes (and smells) quite pungent, and because acetic acid can be dangerous when consumed in high concentrations. If you’re going to put it on your skin, you should still dilute it in water. If you’re cleaning with it, you can mix it with water or lemon juice to create a super cleaning concoction. It’ll also go further that way. One of the most popular brands of ACV is Braggs. It’s unfiltered, non-processed, and organic. It comes with “the mother,” a cloudy substance at the bottom of the bottle that produces the good bacteria and enzymes responsible for many of ACV’s healthy benefits. Although there is some scientific data to back many of the claims ACV lovers espouse, much of what’s being discussed on the Internet is lacking solid evidence. Much like those quotes erroneously assigned to Abraham Lincoln. So, if you’re going to use it on your hair or skin, we recommend you proceed with caution. Acupuncture is a Traditional Chinese Medical therapy that has been in practice for over 2000 years. It treats imbalances in the body, mind & spirit and is very effective at reducing pain. So much so, there are doctors in China that use acupuncture as their sole form of pain block for things as critical as open heart surgery! At Forward Health, Dr. Laura M. Brown, ND is licensed to provide acupuncture and Traditional Chinese Medicine. Any ache or pain may be relieved by acupuncture, but so too are things like hot flushes, constipation, diarrhea, PMS, stress, anxiety, depression, urinary flow challenges, swelling, fibromyalgia, headache, insomnia, infertility and more. Traditional Chinese Medicine (TCM) dates back to the Zhou Dynasty (700-1000 BC). The balance of Yin and Yang and the flow of Qi are very distinctive concepts in Chinese Medicine. Energy is never lost or created, it is only changed from one form to another. In Chinese medicine, the solid matter is Yin and Yang the energetic or wave of motion. Qi is the motive force behind all physiological processes. Acupuncture helps move blood and Qi. If there is stagnation, there is congealment of blood. If there is too much energy flow, there is rising of Qi. The body, soul and spirit are in constant flux and it is the harmonious flow of energy from one form to another that makes us feel in sync. Acupuncture helps you feel like yourself again. The Five Elements are how the rhythm of our health cycles with the environmental impacts and aging process. Five elements are Fire, Earth, Metal, Water and Wood. There are seasons, organs, body parts, senses and times that relate to each element. Acupuncture accesses the channels of the body that relate to organs, nerves and brain centres. Your symptoms and your pulse, tongue and disposition will help Dr. Laura formulate the best combination of points to relieve your pain, stress or fatigue. Typically it will take 6 weekly 30min session to re-align your being, however you can feel relief from the first appointment. Pain relief in sciatica, for example can last up to 5 days after a single treatment. Stainless steel, single use needles are used in specific points on the body. Sometimes infra red heat or electrostimulation is applied to the points to help intensify the healing process. Acupuncture is increasingly recognized by mainstream medical professionals. Here is a short 1 minute video that WebMD put together for your interest. From the heart and mind of your local naturopathic doctor, Dr. Laura M. Brown, ND.